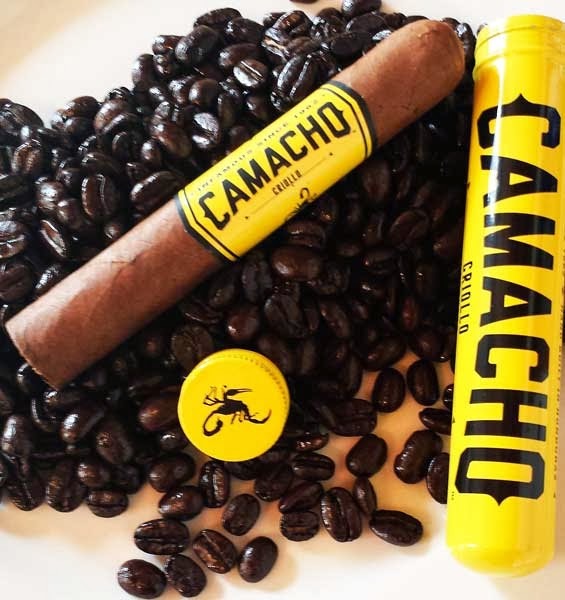 I know, all I can talk about is the great job Camacho did with the new packaging. However that's not what keeps me buying more every time I visit Cigar Train. This cigar has impeccable construction. You can see in the picture this stick has seamless construction and the wrapper is virtually vein free. Feeling down the body, it's packed firm full length with no hard or soft patches and once you check aromas from the foot, there are nice notes of tea mixed with rich tobacco to the nose. After the cap is clipped, testing the cold draw reveals a free, yet slightly firm draw and a spicy, nutty flavor mix. 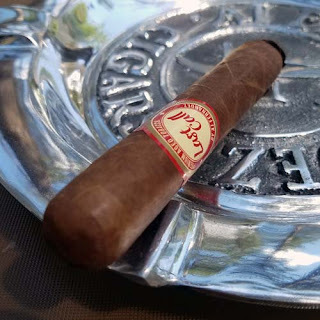 After completing the toasting and lighting process the cigar produces a really nice volume of smoke and your palate is rewarded with a medium bodied mouthful of smoke that tastes like sweet tea mixed with oak and it has an underlying spiciness to that warms the palate. As the wavy burn progresses up the cigar, it leaves behind a soft light gray ash and other flavors join in. There were flavors of nuts, brown sugar, mild earth and bolder oak. The flavor mix of this cigar wasn't very complex but it was tasty and the flavors were bold. Again this new lineup by Camacho just keeps impressing me. It's not only the packaging, but also the construction and flavors of these cigars.